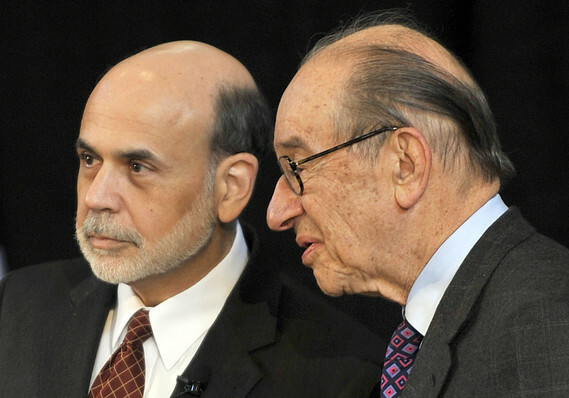 You may find it strange that two economics philosophies – Modern Monetary Theory (MMT) and Monetary Sovereignty (MS) – can agree on the same, fundamental truth, and yet diverge into markedly dissimilar paths. A money issuer cannot unintentionally run short of its own sovereign currency. The U.S. government is a money issuer. It issues U.S. dollars. In the early 1780s, the U.S. government created laws from thin air, and some of those laws created the U.S. dollar, also from thin air. The government created as many dollars as it wished, and it arbitrarily gave those dollars a value it related to an arbitrary number of ounces of silver. Subsequently, the federal government arbitrarily has changed the value of the U.S. dollar several times. This unlimited power to issue unlimited money and to change its value, is known as Monetary Sovereignty. The federal government is sovereign over the dollar. U.S. cities, counties, and states use dollars, but they are not the issuers of the U.S. dollar. They are not Monetarily Sovereign. They can run short of dollars. Similarly, the euro nations, France, Germany, Italy, et al use the euro, but they are not the issuers of the euro, so they can run short of euros. The issuer of the euro is the European Union, which being Monetarily Sovereign, cannot unintentionally run short of euros. Every form of money, including the U.S. dollar, is a form of debt. Laws have no physical existence. You cannot see, hear, taste, smell, or touch a law. Having no physical existence, the creation of laws is unlimited. The government could create a billion laws tomorrow, if it so chose. Every form of money in history has been created by laws, written, oral, or understood. No money in history has had a physical existence. Gold, for instance, which does have a physical existence, is not and never has been, money. In its raw form gold merely is a barter commodity, no different from any other material that is bartered. When gold is stamped into coins, the face value of the coins represents money, as a title to money, while the physical gold remains a barter commodity. It is quite normal for a coin’s face value and the barter value to differ. This is true, not only of gold coins but of all coins — copper, nickel, silver, etc. When the barter value exceeds the face value, coins often are melted down or simply sold by weight. At one time this even was happening to copper pennies. Because gold has a physical existence, it cannot be created in unlimited amounts. Unlike U.S. dollars, gold coins cannot be created in unlimited amounts. Just as a house title is not a house, and a car title is not a car, a paper dollar is not a dollar. Having no physical existence, dollars can be created in unlimited amounts by our Monetarily Sovereign federal government. If it wished, the U.S. federal government could create many, many trillions of dollars today, at the stroke of a computer key. Even entities that are not Monetarily Sovereign — banks, businesses, people, euro nations — have the power to create dollars, though this power is limited. Since all money is debt, all creators of debt can create money. When you borrow from a bank, the bank credits your checking account, which increases the M1 money supply. Bank assets are not used for lending. The dollars you borrow are newly created. Even you can create dollars. When you use your credit card, the merchant receives new dollars, while you still retain your dollars until you pay the credit card bill. Given its unlimited ability to create U.S. dollars, the U.S. government has no need to ask anyone for dollars — not you, not me, not China. This means the U.S. neither levies taxes nor borrows for the sake of obtaining dollars to spend. Even if all its tax collections and all so-called “borrowing” totaled $0, the U.S. government could spend unlimited amounts and pay unlimited creditors, forever. What wrongly is termed “federal debt” actually is the total of deposits into T-security accounts. When T-securities mature, the federal government pays them off by returning the dollars in them to the T-security owner. No tax dollars are involved. Neither you nor your grandchildren are liable for the federal “debt” (deposits). Federal taxes do not pay for federal deposits. The government creates new dollars by the very act of paying creditors. To pay a creditor, the federal government sends to the creditor’s bank instructions, telling the bank to increase the balance in the creditor’s checking account. If the federal government creates new dollars by paying bills, and so does not need to tax, why indeed does it levy taxes? 1. To control the economy by making some products, services, and activities more or less expensive. 2. To give the appearance that the government does not have the unlimited ability to create dollars, and therefore to discourage the populace from demanding unlimited benefits. 3. To force the populace to demand dollars, and given that Value = Demand/Supply, taxes provide value to money. This latter reason is stressed by MMT and minimized by MS.
All of the above constitutes part of the underlying truths with which both MMT and MS agree. It is from here, that the two philosophies diverge, and that divergence begins with reason #3, above. A title to money, supported by taxes and by the full faith and credit of the government. MMT claims that taxes are necessary to create demand, and thus give value to money. MS agrees that while taxes do create demand and do give value, they are not necessary. It is quite possible for money to have value without the need for taxes. There are, in fact, thousands of money examples that have demand unsupported by any form of tax. Some are listed here. Additionally, product and service coupons represent money for which there is no tax. And, there are currencies in which taxes are collected, but have scant value. A title to money, not supported by taxes but only by the full faith and credit of the manufacturer. Many currencies have been used for tax payments, but yet are subject to hyperinflation. Taxes did not rescue those currencies from value loss. For money, Reward is the acceptance by others, plus the interest paid to the holder of a currency. That is why the Federal Reserve increases interest rates when it wishes to fight inflation (i.e, to increase the value of a dollar). Risk is the threat of inflation and the full faith and credit of the issuer. Initially, the demand for a currency relies on the perceived value of the full faith and credit supporting the currency. When you borrow, your note is a form of money, the demand for which is determined by your full faith and credit. Your lender considers your note to be money; your full faith and credit, not federal taxes, are key determinants of your note’s acceptance as money. The question about whether taxes are necessary to provide demand for a currency, is one area of divergence between MMT and MS. But there is a far more important conflict, and it involves the most fundamental goals of each discipline. The stated fundamental goal of MMT is to achieve full employment and price stability. To achieve its goal, MMT proposes the Jobs Guarantee (JG). Supposedly, price stability is achieved by considering unemployed people as “buffer stock,” i.e. interchangeable pieces to be slotted into vacant jobs. Report: A minimum-wage job can’t pay the rent anywhere in U.S.
A full-time minimum wage isn’t enough money to rent an averagely priced one-bedroom home anywhere in the U.S., according to an annual report issued this week by the National Low Income Housing Coalition. An “inflating sector” is one in which salaries are rising. MMT wishes to “redistribute” “labor resources” to a sector where salaries are stagnant. The idea is that when workers are scarce, salaries ordinarily would rise, hypothetically causing inflation. But the government’s minimum-wage, “buffer stock” would come to the rescue of businesses, and hold salaries down. And when workers are plentiful, salaries normally would fall, causing some element of deflation, but the buffer stock would receive minimum wages, which would mitigate the reduction in salaries. But workers still would be stuck with minimum-wage salaries. 1. There is no clear relationship among unemployment, inflation, and salaries. U.S. inflations have been related to oil prices. 2. The term “buffer stock,” implies a monolithic, machine-like workforce, where “labor resources” (aka “people”) can be slotted-in wherever needed, like dumb pegs in a business board. The term does not include such human variables as age, income requirements, job skills and requirements, geography and numerous other human preferential factors. 3. The easy availability of minimum-wage jobs discourages above-minimum-wage job availabilities, People would not be paid extra for above minimum-wage effort, so effort is discouraged. The MMT’s JG proposes offering federal, state, local government and private sector jobs (an unknown percentage of each) to all those who want minimum-wage jobs. Presumably, by adjusting the minimum wage, some measure of full employment can be achieved. “Full employment” does not mean total employment, but rather, everyone who wants a job that the government offers, gets one. While the goal of MMT is full employment and price stability, MS suggests a far different direction. The goal of MS economics is not to force people to labor, but rather to improve people’s lives. This requires narrowing the Gaps between the various income/wealth/power groups, as expressed by Gap Psychology. “Rich” is a comparative concept. You are “rich” if you have $100, and the rest of the population has only $10, but you are poor if you have $1,000 and the rest of the population has $100,000. So the two ways to become “rich,” are to receive more for yourself, or to force others to receive less. Either way will do. It is a rule of human psychology that we want the income/wealth/power Gap below us to widen and the Gap above us to narrow. Said another way, we wish to distance ourselves from lower income/wealth/power people, while coming closer to the higher income/wealth/power people. This accounts for middle-income people resenting lower-income people receiving government benefits, even when those benefits cost the middle-income nothing. Visceral hatred of immigrants is due to Gap Psychology — the fear that the poor are coming closer to us. To achieve its goal of improving people’s lives, MS proposes the Ten Steps to Prosperity (below). Rather than forcing people to work in order to receive minimum wages, the Ten Steps to Prosperity provides a path and a means to a better life. The Ten Steps give people the time and incentive to become educated in the area of their own choice, to work or not, where pleasant and convenient, and to become truly productive rather than toiling in a dead-end, make-work job. While MMT’s JG views people as “buffer stock,” MS’s Ten Steps view people as human beings, with preferences, goals, and desires, who will contribute more to America in a meaningful job that pleases them, rather than in a mind-numbing task. In summary, MMT and MS begin at the same factual place, but then wildly diverge. 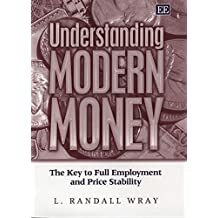 Modern Monetary Theory (MMT) promotes the economist’s business view that “buffer stock” (aka “people”) must labor and accede to redistribution, in order to receive government benefits. Perhaps the fundamental error of MMT’s JG is the tacit and false belief that there are not enough minimum-wage jobs in America. The economists of MMT seem to believe that a significant number unemployed people want, but are unable to find, minimum wage work at restaurants, casinos, beauty shops, amusement parks, landscapers, garment factories, as cashiers, ushers, hosts, farm workers, home cleaners, etc. Monetary Sovereignty (MS) promotes the humane view that the role of government is to improve people’s lives, and this does not require people to labor for minimum wages at onerous tasks. I agree mostly with you but using cryptocurrencies are bad form for an example. They aren’t even currencies, as they aren’t really accepted by enough people. How many people are required? Does this mean small islands, having their own currency, don’t really have their own currency? As Hyman Minsky stated “anyone can create money, the key is getting someone to accept it”. There are many ways to get someone to accept money; imposing tax liabilities being one method, but not necessarily the only one. I think early forms of government money required taxes to drive initial demand, but they become much less of a driver as the currencies become more established. There are many examples of this throughout history, including colonial and post revolutionary America. That being said, the taxes that tend to drive currencies are property/asset and excise taxes, and certainly not income taxes, the prevalent form of federal tax today. Cryptocurrencies, on the other hand, seem to be more analogous to commodities than currency. Because issuance of cryptocurrency (cc), such as bitcoin, are generally limited, it creates a form of artificial scarcity that invites speculative trading and market volatility. The volatility in the value of cc also make them somewhat impractical and risky as a primary medium of commerce, irrespective of their level of acceptance. It would seem their biggest benefit is a lack of traceability, which makes them attractive as a medium for illicit trade. Ironically the value and acceptance of cc is based in large part due to the existence of cryptocurrency exchanges that allows owners to exchange cc for government backed fiat dollars. Cryptocurrencies are money in every sense of the word. The fact that they may be traded is exactly what other currencies do. Regarding the 10 steps in the bottom, how do you think that we can control inflation if we create dollars like that? I think one of the fears economists have about a “MS World” is no one will opt to do the menial stuff and many businesses will dissappear. Or put another way, positive and negative ego. We want to be around successful people, but shun the seemingly unsuccessful. In fact, MMT has nothing to say about who receives government benefits. The Job Guarantee (employment buffer stock) is something that is made available by the government. It is not something that is enforced or mandated by the government. It does not require that people accept a job in order to receive benefits. It simply requires the government to provide a job to anybody who wants one. A welfare state can exist right alongside the Job Guarantee. In other words, in order to receive a minimum wage, the buffer stock it required to labor. The Ten Steps to Prosperity does not require labor, in order to receive a minimum wage. Why is the buffer stock required to labor?